The government has a court-ordered deadline of July 26 to reunify the rest of the children. But last time it came up against a deadline, the government declared almost half the children "ineligible." With days to go before its court-ordered deadline, the federal government has reunited 450 children ages 5 to 17 with the parents they were taken from at the border, lawyers for the Department of Justice said at a court conference Friday. That leaves about 2,000 children in that age group still separated from their parents, with just under a week to go before the July 26 deadline a federal judge laid out in June. Under a new Trump administration policy of “zero tolerance” for illegal border crossings, parents and children were separated at the country’s southwest border, with kids sent to federally contracted shelters and their parents sent to jail on the criminal charge of illegal border entry. Now, at the direction of a federal judge, the government is partway through the process of bringing those families back together — a steep challenge, given that the children and parents were swallowed up into separate, labyrinthine federal bureaucracies and not always kept in touch. Before parents can be reunited with their children, the federal government has to run through a series of checks, confirming biological parentage, criminal background and the parents’ desire to reunify with their children. The government faces particular difficulty in reuniting children with parents who have already been released into the interior United States and with parents who have already been deported back to their home countries. In examining potential reunifications for this age group, the government has identified 954 parents who have been cleared for reunification with their children, 272 who require one more interview before they could be cleared, 222 who have been released into the country and may be difficult to locate and several hundred more who require further evaluation before a determination can be made. Two parents remain in jail and 91 have been found to have “prohibitive” criminal backgrounds. Government lawyers said 136 parents have “waived” their right to reunifications. The American Civil Liberties Union, which successfully took the government to court earlier this year to order the reunifications, asked for a list of those parents. The July 26 deadline for reunifying older children is the second the government has had under this lawsuit. The judge had also ordered the government to reunite all children under 5 with their parents by July 10. Perhaps the best indication of how many children will be reunified by Thursday is the government’s record in meeting the July 10 deadline. Two days after its deadline to reunify all toddlers under 5 with their parents, the government had reunified just 57 out of 103. 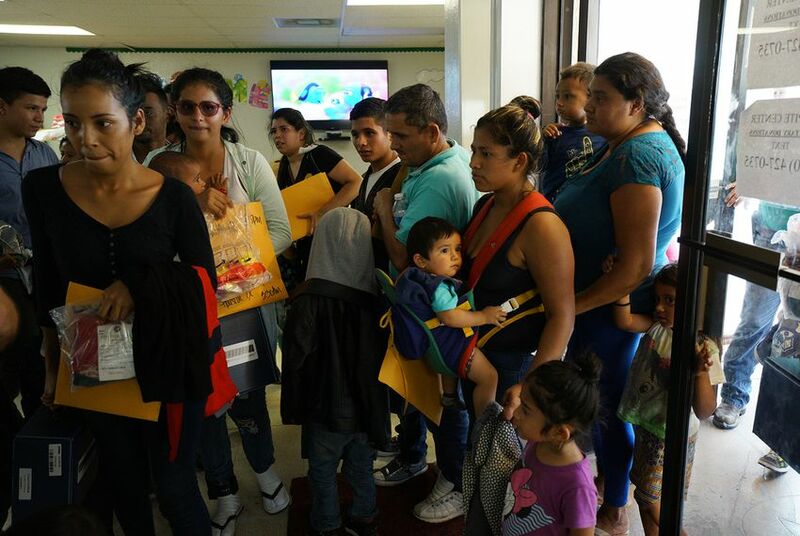 The rest of the children were deemed ineligible — some because their parents had been deported, some due to safety concerns about the parents. In one case, the government had lost track of the child’s parent — who may even have been a U.S. citizen, according to court documents — since 2015. The judge on Friday said that after the July 26 deadline passes, he will turn his attention to the group of younger children who have yet to be brought back to their parents.